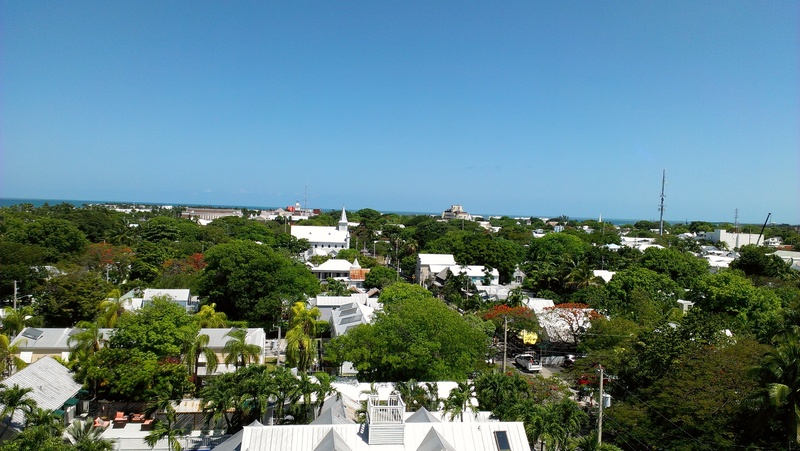 This past week my husband and I vacationed in Key West. 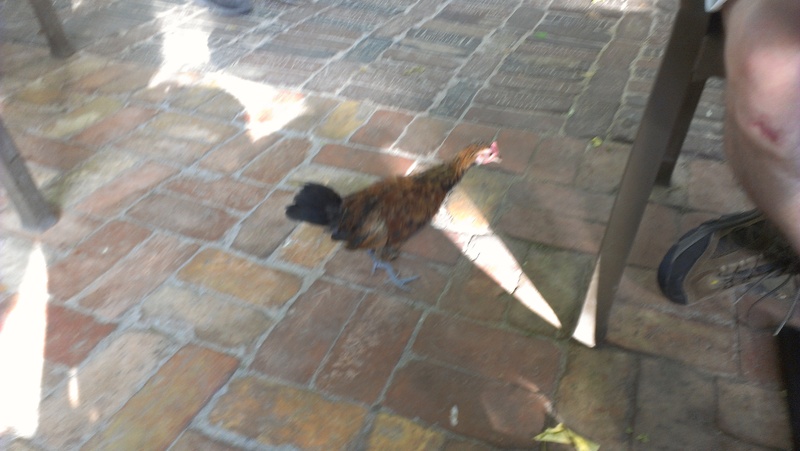 It was the first time in the Keys for both of us. Now that I’ve finished my quest to visit all 50 states it was harder to come up with a vacation destination. Paul was no help. He would not even answer simple questions like foreign or domestic travel. For some reason Key West popped into my head, so that’s where we wound up going. It was an enjoyable and relaxing week, but now that I’ve been there it’s not really some place I feel like I ever need to go again. 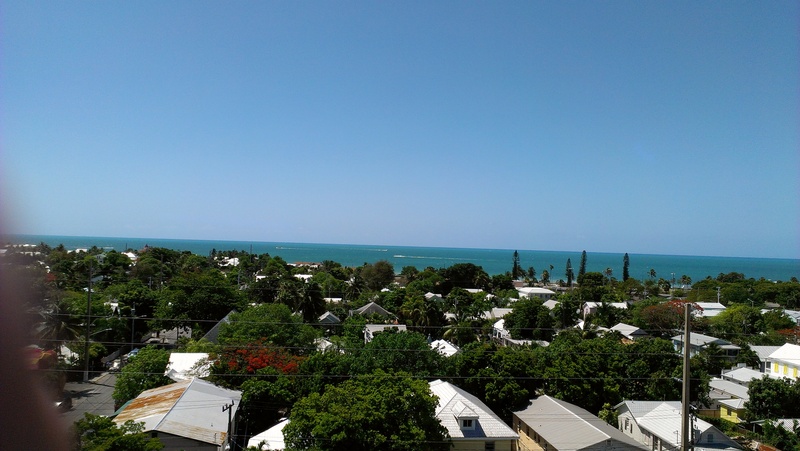 We flew into Fort Lauderdale and drove the 3 and half hours to Key West from there. I didn’t even bother looking into flights directly to Key West because I knew they would be expensive and involve a layover. We chose Fort Lauderdale over Miami because it was way less expensive and it only adds about 30 minutes to the drive. Though we obviously had a rental car to do the drive we really didn’t need it once we got to Key West. We used it twice. Once to drive to the grocery store and once to drive to the movies. We could have bought all of our groceries in Old Town at Fausto’s if need be and obviously could have skipped seeing X-Men while we were there, so we easily could have done without the car had we not already had one when we got there. Lots of people rent scooters, bikes, or little electric cars to get around. We just walked everywhere. We rented a condo in the Shipyard Condominiums in the Truman Annex. The Truman Annex used to be part of the Naval Air Station that is still next door, but part of the property was decomissioned and sold off decades ago to private developers who created a gated community that consists of condos and houses. From what I could tell most of them are vacation rentals based on the fact that rental licenses have to be posted on rental properties. We rented ours through Historic Hideaways. There are any number of places rental agencies that rent them out though. We had a hard time getting people to contact us back, and this place finally did so we went with them. 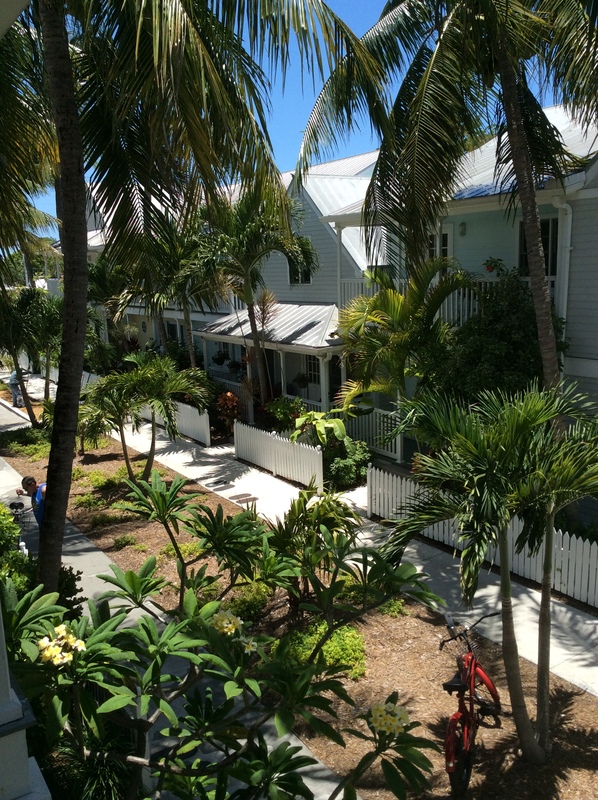 I would definitely recommend staying in this area if like me you’re in Key West to relax and not to have a big party. It’s only 2 blocks from Duval Street, so you’re really close to everything while still not in the middle of the fray. It was nice and quiet when we were there though depending on other renters I can see it being loud as there are a lot of properties close together. I only heard one loud group and they promptly shut off their music and quieted down at 11 when quiet hours start. I don’t know if they were mindful or someone called the security guard on them, but either way it was very peaceful. 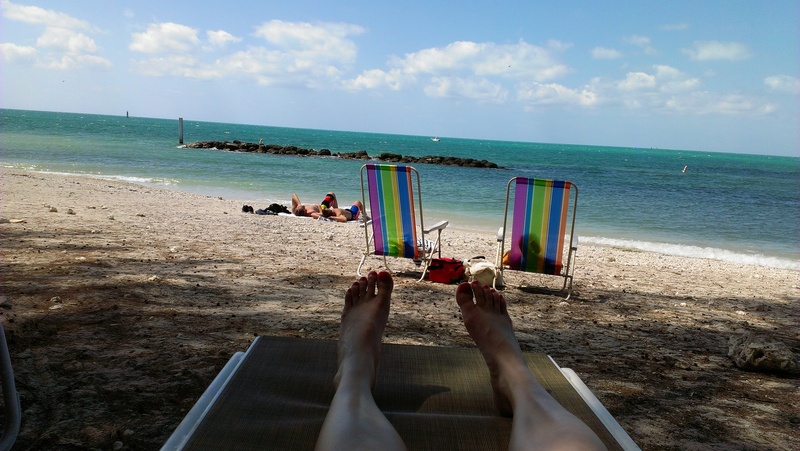 Staying in the Truman Annex also puts you as close as you can be to the beach at Fort Zachary Taylor State Park. There is also a pool in the condo complex if you prefer that. 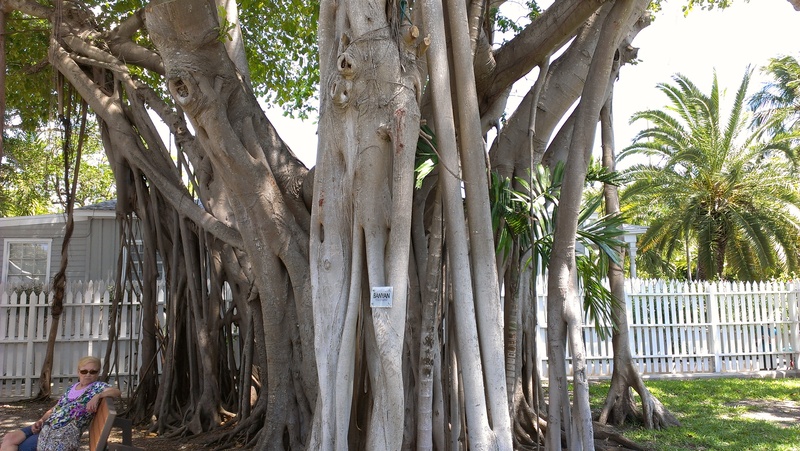 Monday morning we took a trolley ride to get a lay of the land as well as hear about some of the history of Key West. There are 3 trolley companies. We went with the kitschy Conch Tour Train because it looks like a little train. The other two companies have the more typical trolley car vehicles that you see in other cities. They both have a lot more stops than the train, so if you want to use them as a sort of transportation to get on and off at various places they are probably a better choice for you. We just wanted the tour and didn’t plan to get off and on so the 4 stops on the train were a better fit for us anyway. 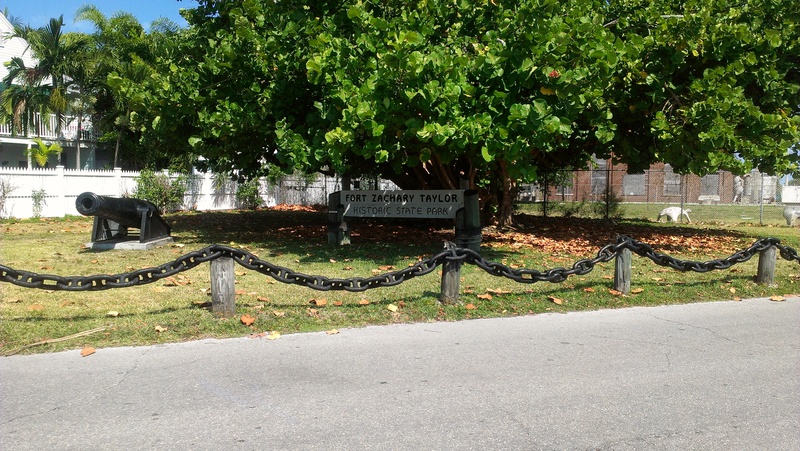 Tuesday we walked down to the Fort Zachary Taylor State Park. It was a little less than a mile from the condo. Since it’s a state park you do have to pay to get in. It’s $2.50 per person if you walk or bike in and slightly more or less if you drive in depending on how many people are in the car. You can leave and come back in on the same day if you want. 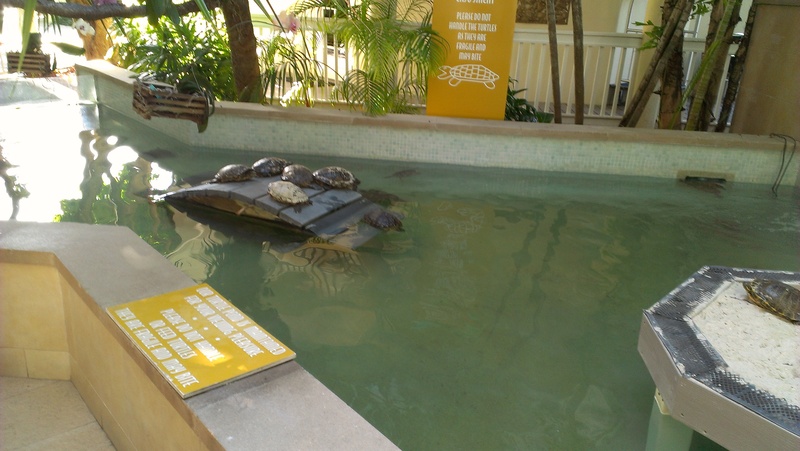 Key West is actually not very beachy. There are a handful of beaches on the island, and everyone assured us this was the best one. We didn’t really go to any other ones, so I can’t confirm that but I’ll take their word for it. 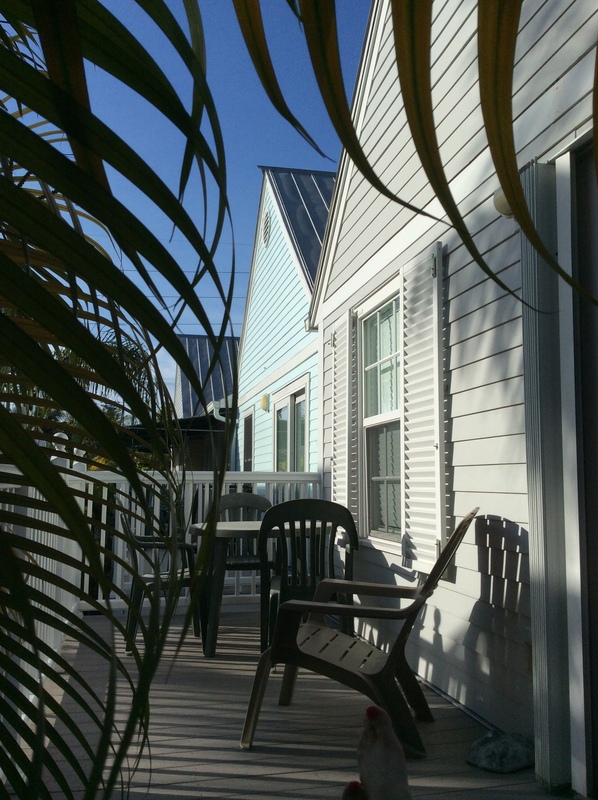 There is a place you can rent beach chairs, umbrellas, rafts, and snorkel gear from as well as showers, bathrooms, and a snack bar. You’re not allowed to bring in alcohol, and I did see park rangers tell people to get rid of it, but they do sell it at the snack bar and you can drink it on the deck there. The beach is quite rocky because of all the coral right off shore, so if you plan to go in the water at all I highly recommend some beach shoes. There’s lots of picnic tables under trees, and the shade extends a little bit out onto the sand so we sat our pale butts under trees every day and it was quite pleasant. 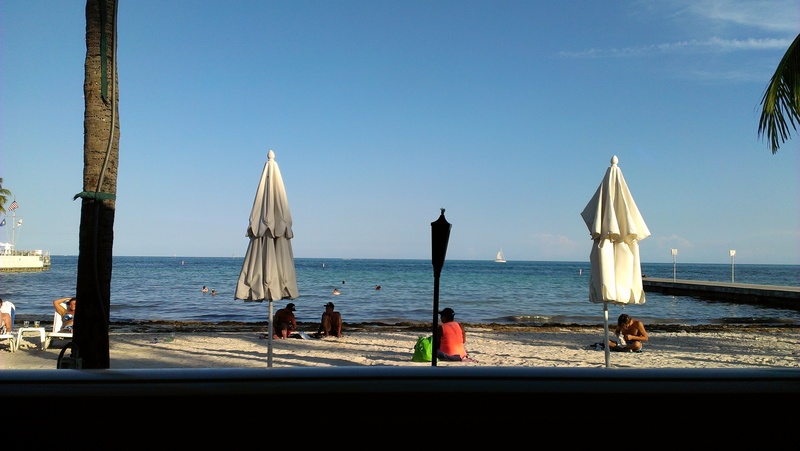 We hit the beach most days in the morning and then I went to the pool in the afternoon. 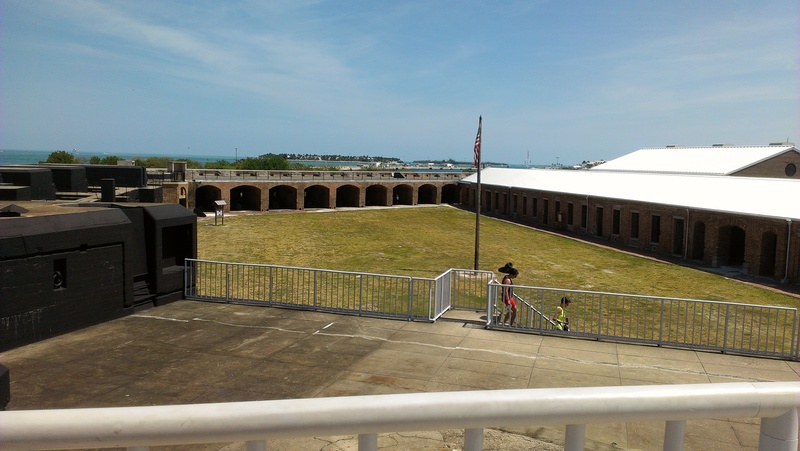 On our last day there we actually did finally go wander around Fort Zachary Taylor. It’s not a very exciting fort, but you might as well check it out if you’re already there. 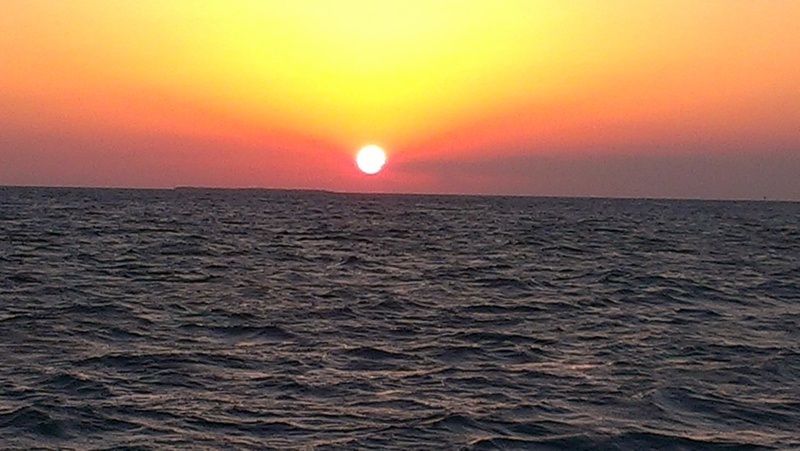 Tuesday night we went on a sunset cruise. There are any number of boats you can go out on. 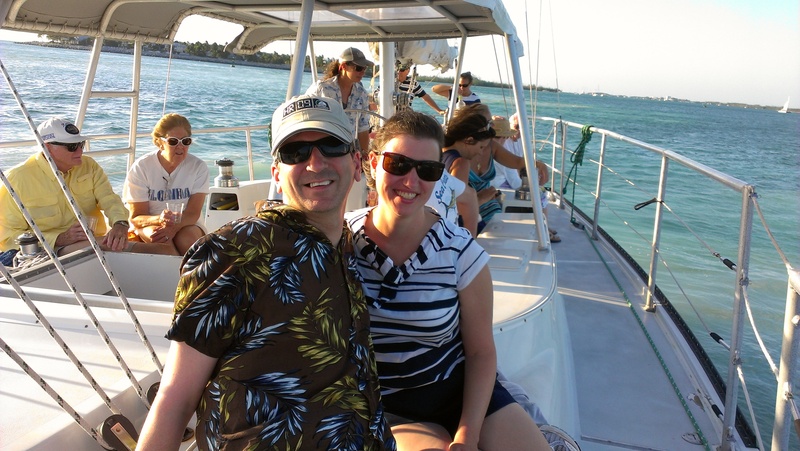 There are a couple of big companies that do cruises on catamarans. You’ll see Fury selling their water sport activities at booths all over Old Town. I avoided that because I had no desire to be smushed on an overpacked catamaran with a bunch of twenty somethings getting drunk which is basically what I had read about these cruises. Based on the one we sailed past I definitely made the right call. Seabago is also another one, though their boats all looked pretty empty. I don’t know if they would be more crowded in prime season as opposed to off-season when we were there. There are lots of charter boats as well. We wound up going on the Floridays, which is a charter sail boat. It was quite pleasant. It wasn’t overcrowded and we were able to sit instead of stand the whole time. They offered a selection of beer, wine, margaritas, soda, and water to drink if you wanted. We got to see a lovely sunset. 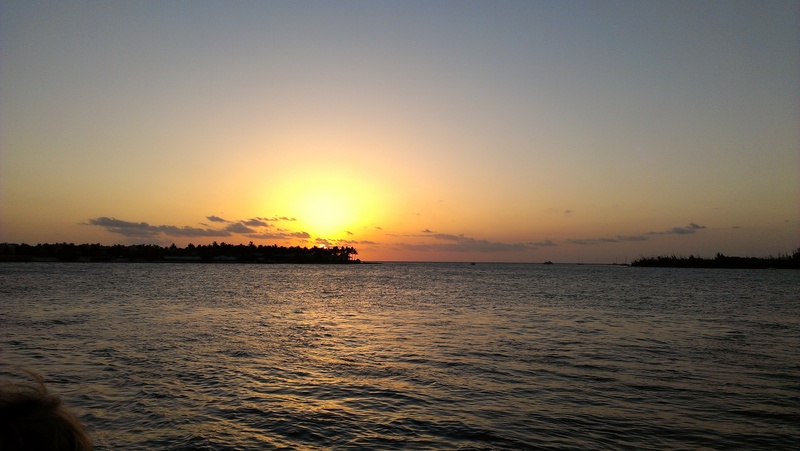 Speaking of sunsets, Key West is fairly famous for them. There is a big sunset celebration in Mallory Square every night. We actually technically never went to that though we did eat dinner at the Sunset Pier right off the square so the view as the same even if we missed out on whatever else was going on, which didn’t seem like much we would care about. If you want to be able to sit there and eat dinner or drink I would recommend getting there at least an hour and half before sunset and maybe earlier in season. We had a pleasant dinner with some live (and miraculously not too loud) music while getting to enjoy the sunset. 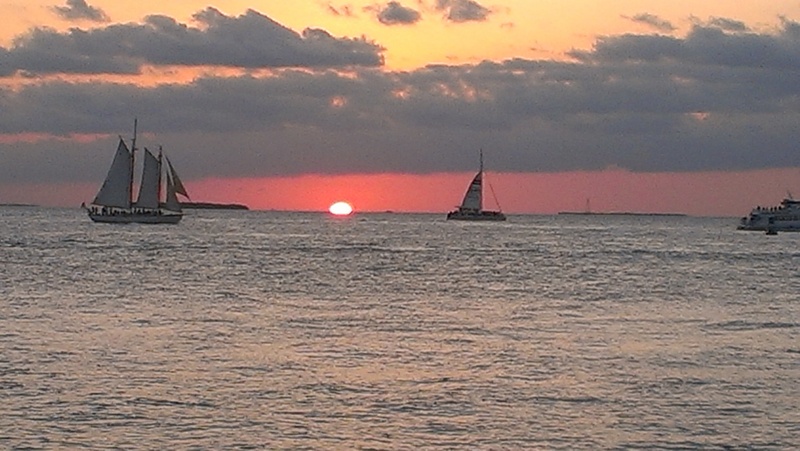 We also went back to Fort Zachary Taylor beach one night to watch the sun set from there. It was actually the best of the three in my opinion, so I would definitely recommend going to watch from there one night. Of course we had to go the Ernest Hemingway house while we were in Key West. We did the short 20 minute tour, with the mumbliest tour guide I have ever had. It was difficult to understand him a lot of the time. No matter because I mostly there for the cats anyway. I thought they were all 6-toed, but it turns out that is not the case. Some are, some aren’t. There were in fact cats lounging all around the house and the gardens. They have some lovely gardens and a dedicated area set up for weddings. When we walked by it on the way back from dinner on Saturday night there was definitely a wedding going on there. 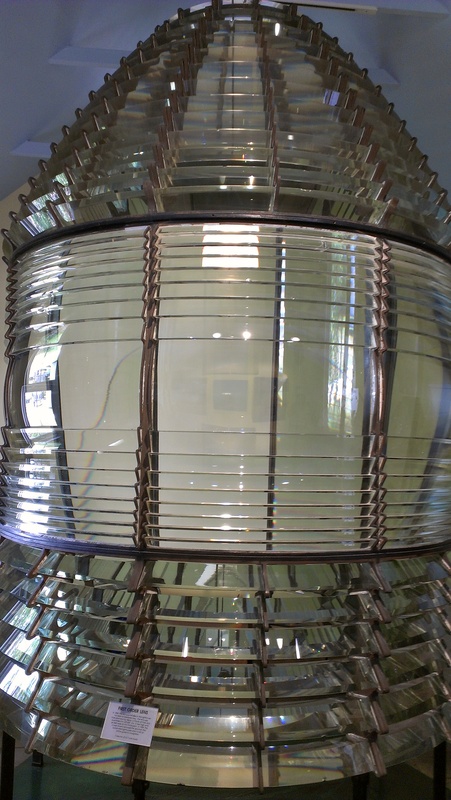 There is also a decommissioned light house across from Hemingway’s house so we climbed up that as well to see the views of the island from there and toured the old keeper’s house on the grounds. 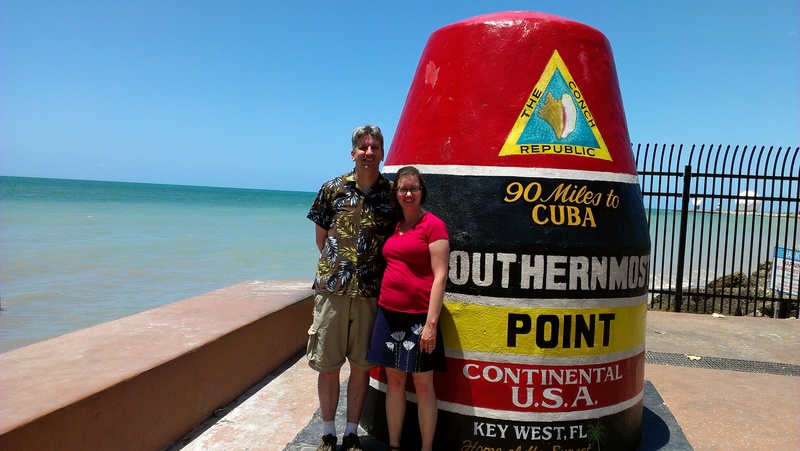 We of course also got our picture taken in front of the Southernmost Point marker, which is at the Southernmost point in the United States. 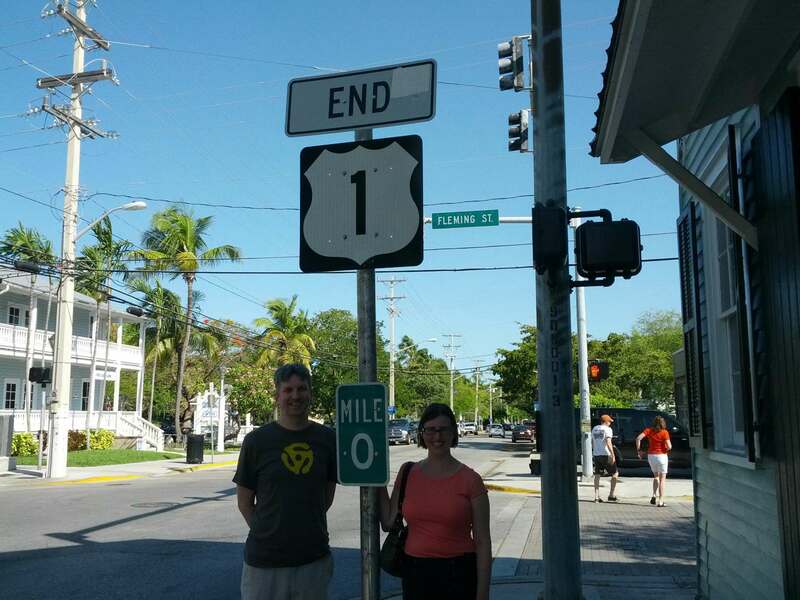 And also in front of the Mile 0 marker at the beginning and end of US Route 1. I don’t have much to say about the food in Key West. Of course I ate a lot of seafood while we were there, but mostly I got bored with the restaurants as they pretty much all have the same things on their menu. Your pick of several overpriced seafood items served with rice and a vegetable. All the meals I ate were fine, but none was so outstanding that I would say you must go to a specific restaurant while you are there. I’m guessing you can take your pick and you’ll be fine. 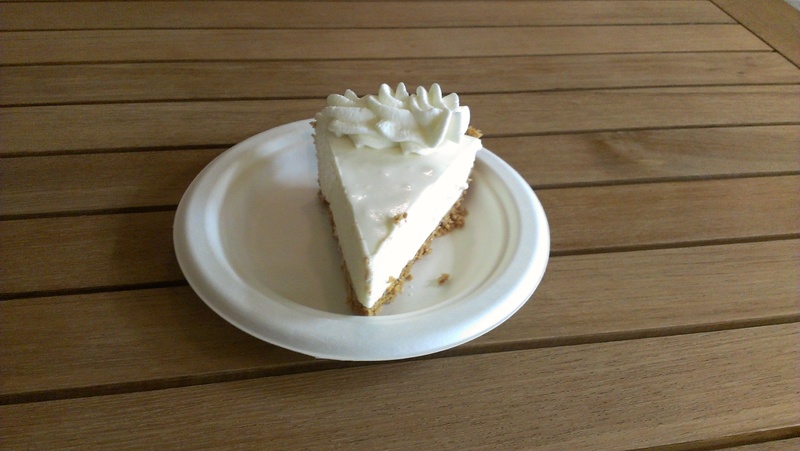 Of course I couldn’t leave Key West without eating some Key Lime pie. I had it from 3 different places. The first two were specifically from two different Key Lime pie shops on Greene Street. They were both good and about equally so. The third piece was from the restaurant we ate at on our last night there. It had an Oreo crust as opposed to the typical graham cracker crust. It wasn’t as good, but I don’t think it was necessarily the Oreos’ fault. There was more cinnamon in the crust, which I don’t like and it seemed like the pie had been left sitting out so the filling was no longer chilled and the crust had gotten mushy. Oh well. If you’re a partier Key West has plenty of outdoor bars and various clubs for you to spend your time in. 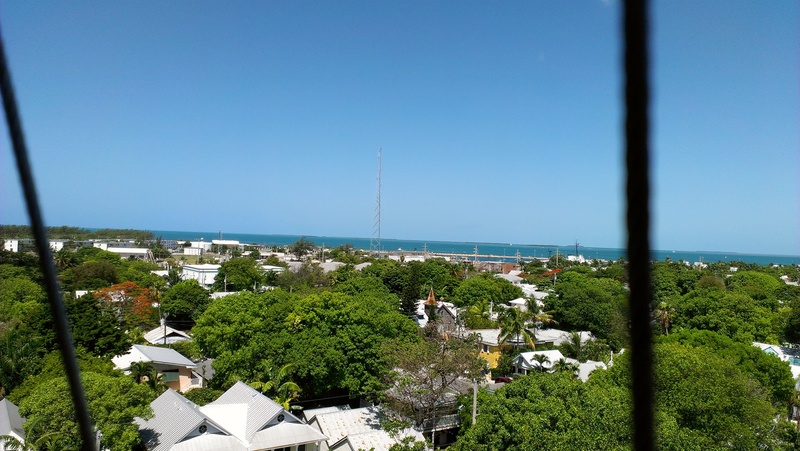 If like me you prefer to not spend your time in loud, crowded bars with a bunch of drunk people then Key West still has stuff for you though walking down Duval Street may not make you think so. We had a good time, though as I said now that I’ve been there I probably wouldn’t choose to go back. 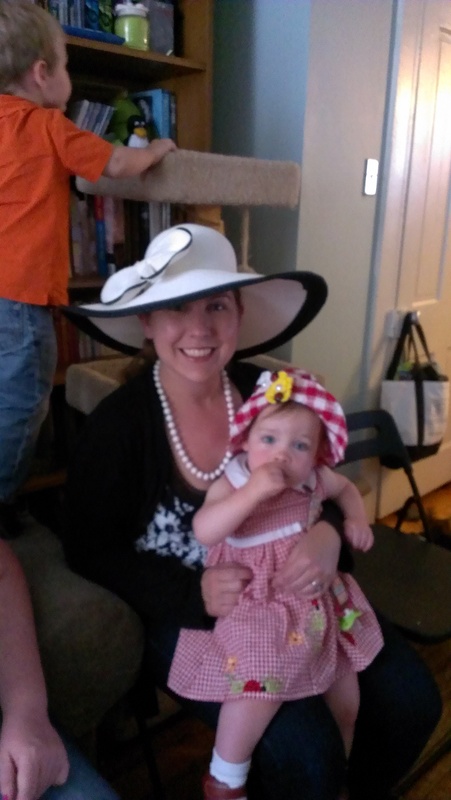 I don’t have much time, but here’s a quickie post on our annual Preakness Party. 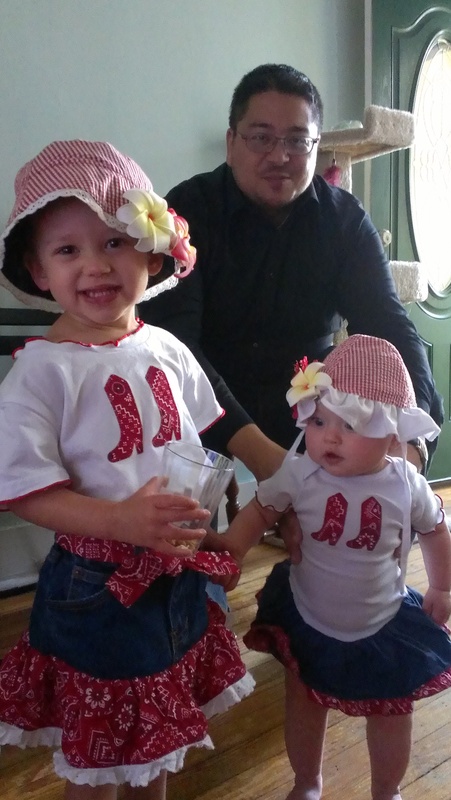 If you’ve been reading this blog long enough you by now know that every year we have a Preakness Party. We even planned our vacation around the date so that we could hold it. 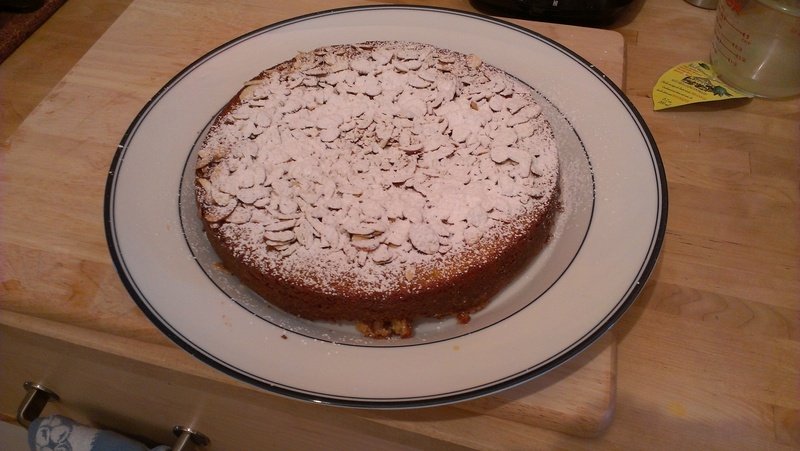 In my continued effort to bake my way through my Booze Cakes cookbook I made an Amaretto Almond Cake. It was good, but not one of my favorites. We also always make several versions of Black-Eyed Susans since there really is no definitive version of the Preakness drink. Even the “Official” version changes depending on what liquor company they get to sponsor them. This year’s official version had Finlandia Vodka and St. Germain in it. 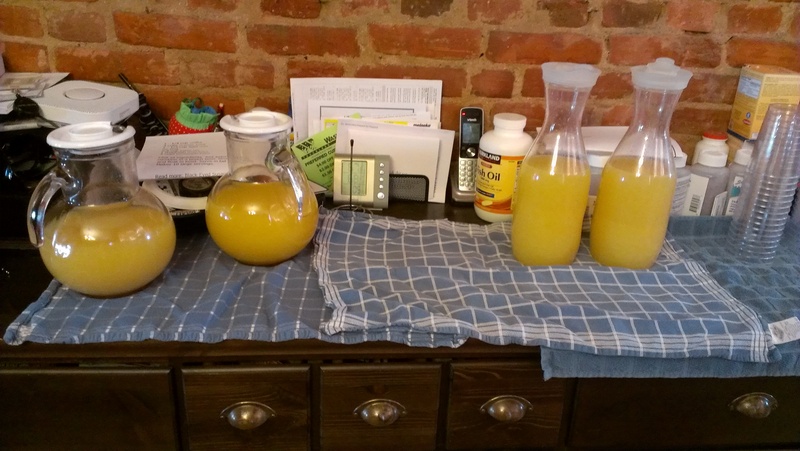 We made the official version (though not with the official vodka), an old standby version from the Washington Post that we make every year, and a recipe from a local restaurant. Though the latter one my husband was only making by request, so I’m not sure many people got to try it. Horse racing parties of course require cute hats. 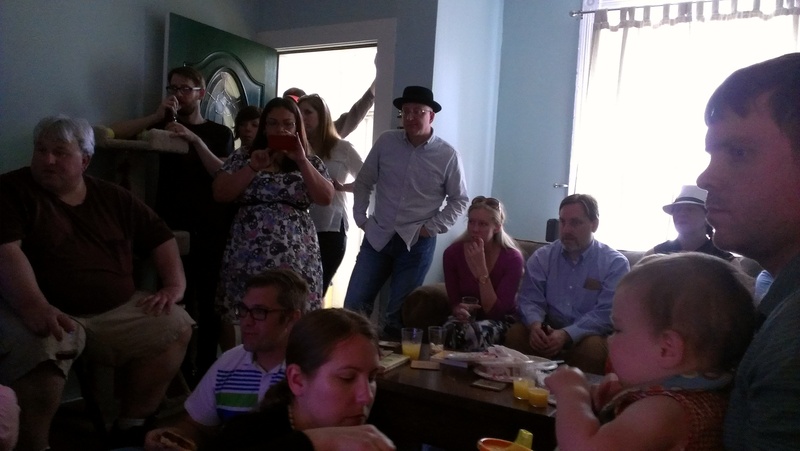 And here is about 2/3 of the people crammed into my living room trying to watch the actual race. Luckily it only lasts about 2 minutes because there wasn’t quite enough room. I’m happy that California Chrome won because that means there is a chance for a Triple Crown winner this year. It’s always less exciting when there’s not. I’m sure the Belmont people love it because it gives everyone a reason to watch. I’ll certainly be cheering on California Chrome in a few weeks. It was another fun party, and I’m looking forward to next year’s already. This week I have purchased new albums by Tori Amos, Natalie Merchant and Sarah McLachlan and it’s not even the mid-1990s (let me be the billionth person to make that joke). Although I’m still buying albums so maybe its still the mid 90s for me. Granted they’re all mp3 downloads, but I feel like I’m in the minority these days that I still buy albums and don’t just download singles or completely stream my music. Maybe it is like the mid-90s for them too as all three of these albums seem to be a bit of a return to what these artists were doing back then. Sarah McLachlan has probably been the most consistent over the course of her career at least since she hit it big with Fumbling Towards Ecstasy. Her previous albums were a bit less mainstream. Laws of Illusion, her 2010 album that focused a lot on her recent divorce was not my favorite. I bought it, but something about it never quite clicked for me and I never really listen to it and found myself skipping past the songs from it every time they would show up on my iPod. That coupled with the fact that her last album of new material prior to Laws of Illusion was 7 years prior with 2003’s Afterglow and it seems like it’s been a really long time coming for her new album, Shine On. This album feels like a return to the Sarah McLachlan I love, and I have already enjoyed listening to it multiple times. Sadly her tour date near me this summer is over the same weekend that I’ll be at Newport Folk Festival so I won’t be able to go. Even sadder, it’s at my favorite concert venue Wolf Trap. Alas. I admit that I preferred Natalie Merchant as part of the 10,000 Maniacs than as a solo artist. I dutifully bought Tigerlily when it was released in 1995, but I never loved it as much as I did the 10,000 Maniacs stuff. After that she went on to do things that moved her out of the pop arena and into more folk related territory as well as just into doing projects that she wanted to do. It’s not necessarily that I didn’t like any of these things it’s more so that I just wasn’t really aware of them at the time and they kind of bypassed my radar. Her self-titled album Natalie Merchant is somewhat of a return to more mainstream music though it definitely still showcases the types of things she has done in the past. I feel like Tori Amos is one of these artists who people either love or leave. People who love her music really love it and those who don’t don’t. She more than any of these three artists has basically done whatever she has wanted over the course of her career. Like Merchant over the last decade or so she has tried out things that are not necessarily what she was known for. She has played around with Classical music and done symphonic versions of her own music. She has written a musical. With Unrepentant Geraldines it seems like she has returned to a more pop style as much as you can ever call Tori Amos pop music. If you like her earlier albums, but weren’t so thrilled with some of the more experimental stuff she started doing in the 2000s this album will probably appeal to you. If like me you may have not quite followed all these very talented women through some of the things they were doing over the past decade or two I encourage you to check out what they are doing now because they have put out three excellent albums. I strongly encourage you to give them a listen. My husband and I were watching the news the other night while eating dinner as we do. There was a story, which I don’t remember exactly what it was about, but it made some reference to people not interacting with strangers as much over stock footage of people in public places staring at their phones instead of interacting with those around them. Let’s put aside for a moment how ridiculous we all think these stories are and get serious for a minute. At the time I said to my husband the exact opposite is true for me. I am an introvert who is mildly terrified of interacting with people I don’t know or don’t know well. I am never, ever going to strike up a conversation with a random person in a public space on my own. It’s just not going to happen, and even if someone strikes up a conversation with me unless they are super chatty and can carry it all by themselves I’m trying to think of ways to get out of it as fast as I can. On the other hand I have made many friends online via Twitter. Some of these friends are still online only as we haven’t had occasion to meet in person because we are literally spread across the globe. Other people who I initially met via Twitter I have had the pleasure of meeting in person and I now consider friends in real life. A few of them are Baltimore people or people outside the library world, but the vast majority of them are librarians just because library conferences bring us together in the same place and give us an opportunity to meet. These are people who I have enjoyed interacting with online and gotten to know that way so that by the time we meet in person we already feel like friends and not strangers. If it weren’t for Twitter I might sit next to one of them in a conference session and never strike up a conversation and meet them, but because I’ve had the opportunity to get to know them online and feel comfortable I’m happy to get together with them in person when we get the chance. I’m already starting to make plans to meet up with some Twitter friends I haven’t met in real life yet at the American Library Association conference next month and am in fact sharing a hotel room with a friend I met via Twitter years ago. If you’re reading this and want to be part of those plans let me know. So sorry Brian Williams, but I don’t buy your story about social media making us more isolated or whatever it was about. If it weren’t for social media I would actually have way fewer people in my life. For those of us who are shy and a little scared of talking to strangers social media can be a great way to actually expand our social circles not just online but in real life too. This past Saturday I went to the Sweetlife Music Festival at Merriweather Post Pavilion. It’s a one day music festival sponsored by Sweetgreen, so in addition to the music there are a lot of higher quality food choices than you normally find at music festivals because they bring in lots of food trucks and renowned restaurants to provide food in addition to the stuff that is always at Merriweather. The music was good, but I think I am too old for this festival. I often feel like I’m one of the oldest people around at many of the concerts I go to because I like new music. It comes with the territory, but I’ve never been bothered by the crowd like I was at this festival. I went to part of Firefly last year and while I was still older than 90% of the people there things didn’t feel as young and stupid as they did at Sweetlife. I think partly it’s a space issue because I didn’t feel claustrophobic about all the people at Firefly until the end of the night when we were watching Tom Petty, who was the headliner for the night. At that point none of the other stages have music playing so everyone was crammed at one stage. At Sweetlife there are only 2 stages and the set times didn’t overlap by much so people were crammed around one stage most of the day and there is a finite amount of space on the Merriweather lawn. I went to the Virgin FreeFest at Merriweather a couple years ago and didn’t feel this way either, but I suspect again that it was party a space issue because they had more of the surrounding woods opened up and more stages going on so everyone wasn’t trying to be at the same place at the same time. Also my friend and I only went for 3 acts in the middle of the day for that one, so maybe I would have felt differently had I been there longer and as more people showed up for the headliners I didn’t care about seeing. The other big issue I see was the actual age difference. Unlike Firefly where the people younger than me mostly college age or in their early 20s there were a lot of high schoolers at Sweetlife and they really are obnoxious because they’re young and living in their own little world trying to impress their friends and doing the things high schoolers do. And sorry parents of teenage kids I hate to break it to you, but if your kids were at this festival they were drunk and/or high. I mean of course except your kids because your kids would never do that. Granted I’m sure there were some goody two shoe teenagers like me who did go and did stay sober, but they were definitely few and far between. Also I was such a good two shoes as a teenager that I probably would never have gone to something like this because I would have been too scared to go. Anyway, I have never been to another concert or festival where I felt surrounded by the amount of stupid wasted people as I did at this concert and I suspect it’s because it was a lot of really young people doing it. I am going to a Willie Nelson concert at Merriweather later this summer where I suspect there will be a lot of people smoking pot, but they’ll all be ancient compared to these kids so they’ll be chill about it. I was quickly over the kids so wasted they couldn’t stand up or who were so wasted I was afraid I might get puked on any time someone came near me. I suspect this will be my first and last time at the Sweetlife Festival unless there is someone I just can’t imagine not going to see, but at this point I don’t know who that would be. At least the music was good as I said, so it wasn’t all bad. Additionally despite the forecast for rain showers and thunderstorms all day we fared pretty well on that front. We did get some spotty rain towards the beginning of the day, but we were well prepared with rain gear so it wasn’t too bad and it really didn’t last that long. Then we had a nice long break of dry weather until the end of the night, which I will get to later. This was a nice surprise since I usually have the opposite problem whereby the one tiny rain cloud in an otherwise spotless sky decides to stop over whatever outdoor event I’m at. We started off the day with the last 10 minutes or so of GEMS set. It was the same way at Firefly, so I guess this is a thing at a lot of music festivals, but I really don’t get the concept of them not opening the gates until the same time that the first band goes on. That means that the poor band is playing to essentially no one at the beginning of their set. It makes no sense to me. At any rate by the time we got in, we had missed most of their set. We didn’t care much about the next bands up on either stage so we used that time to go get our lunches and then make it to the main stage in time to see Bombay Bicycle Club. I didn’t know too much by them going in to the festival. I had heard “Shuffle” before and then listened to them once or twice on Spotify in preparation for the festival, but for the most part they were an unknown entity to me. I enjoyed them and will probably give them more of a listen in the future. Next up we saw Hozier. I really like his music a lot, but would like to see him play in a much smaller venue. I don’t think he was really able to command the stage for that large of a venue at least at this point. I think even if he had been on the side stage and not the main stage it would have been better. I also don’t know if he’s just a really quiet talker or the sound wasn’t set up quite right because I could hear the songs fine, but whenever he stopped between songs to talk to the audience I couldn’t hear a thing he was saying. I really do think he could be great somewhere smaller though, so I do hope I get to see him again in a different place in the future. As much as I love the song “Take Me to Church” it’s starting to get overplayed, so I’m going to point you towards “From Eden” instead. After Hozier we moved over to the side stage for St. Lucia who was one of my favorite acts of the day. Like Bombay Bicycle Club I really didn’t know much about St. Lucia before this festival, but I liked what I had heard on Spotify before I went. I literally just learned from Wikipedia that St. Lucia is the stage name for South African singer John-Philip Grobler and not the actual band name like I had assumed. He did have a band with him so I just assumed it was a band and not a singer with a backing band. Guess I was wrong on that count. I am curious about how in the world they all started playing together though because when he introduced everyone he said where they are from and in addition to his South Africa the rest of the band is from Texas, California, and Germany. Thy were a lot of fun though and I would definitely pay to see them again. We headed back to the main stage after that for Bastille. I missed a good portion of their set though. We missed the beginning because it overlapped with St. Lucia, and then I decided of all the upcoming bands Bastille was my least favorite so it was the best opportunity I was going to have to go to the bathroom at any point in the near future, so I spent a good chunk of their set in the bathroom line. I did get to see them play “Pompeii” and “Things We Lost in the Fire” though, which is mostly what I cared about. It’s not that I don’t like them, but there were other bands I was more interested in, so they lost out on my presence. I’m sure they cared. We went back over to the side stage for Capital Cities. After having watched their set from Coachella live stream over YouTube, I was super excited to see them in person because they looked like so much fun. They were and I wish that I had been able to see their whole set, but it overlapped with Fitz and the Tantrums so we left early. I will definitely seek out trying to see them live again though because they definitely do all the things I love from a band when they perform live. I was excited for Fitz and the Tantrums because I’ve been kicking myself ever since they played at Rams Head Live last year and I didn’t go. They did not disappoint. They had the crowd into their set and they have tons of energy. They ended their set with “The Walker”, which I love. That is my current go to song when I want something bouncy and happy to listen to. The internet would have me believe that everyone hates Lana Del Rey, but the internet would be wrong because she was the act who the crowd was definitely the most excited to see. They cheered for her the loudest when she came on stage, people started shoving to get closer to see her more than they did any other act, and I saw more people singing along with her songs than anyone else. So I would say aside from the girl standing behind me who was trying to convince her friends to leave and go see 2 Chainz on the other stage because Lana Del Rey “was harshing [her] mellow” most people there in fact love Lana Del Rey. I know that is her stage name and she’s created someone of a persona for herself, but at some point I figure it’s mostly her anyway. She was quite honestly the oddest performer I think I’ve ever seen. She seemed kind of whatever about the entire performance at times just walking to the back of the stage and chatting with her band members, while at other times seeming really into interacting with her fans though not in a way I really support in this environment. She got off stage twice to go to the front of the audience and let fans take selfies with her and autograph things. It was fine at the very end of the set, but watching her do that for 5 minutes in the middle of the set while perhaps very exciting for the people who are personally experiencing it is not so much for the thousands of other people there. I knew it was a super long shot, and she did not in fact play it, but I was really hoping she would sing the version of “Once Upon a Dream” from Sleeping Beauty that is going to be in the upcoming Maleficent film. I was happy with the rest of the songs she played though. The headliner for the night was Foster the People. I like them, but had tired of every single they had off their first album because they were so overplayed. I do like their new single “Coming of Age” and enjoyed the sophomore album in its entirety when I listened to it on Spotify. I guess I didn’t listen to it enough though since I didn’t recognize any of the first 5 or so songs that they played. We had already decided we were going to leave before the end of their set so as to get out of Merriweather’s parking lot before we had to spend an hour jockeying our way out of it with a bunch of under the influence drivers, but we left a littler sooner than I had already even planned when it started pouring rain in buckets right after they started playing “Coming of Age”. I said let’s stay for this song and then get out of here. Despite our ponchos we were still fairly wet by the time we got to my car and the rain was coming down so hard I drove most of the way home going significantly under the speed limit so that I could see. For the most part it was a fun day, but I think I’ll leave this festival to the young’uns in the future. I used some of my remaining vacation time to road trip down to North Carolina to visit one of my best friends from college, Teresa. She and her husband Brian had their first baby a few months ago and I wanted to go down and meet her. 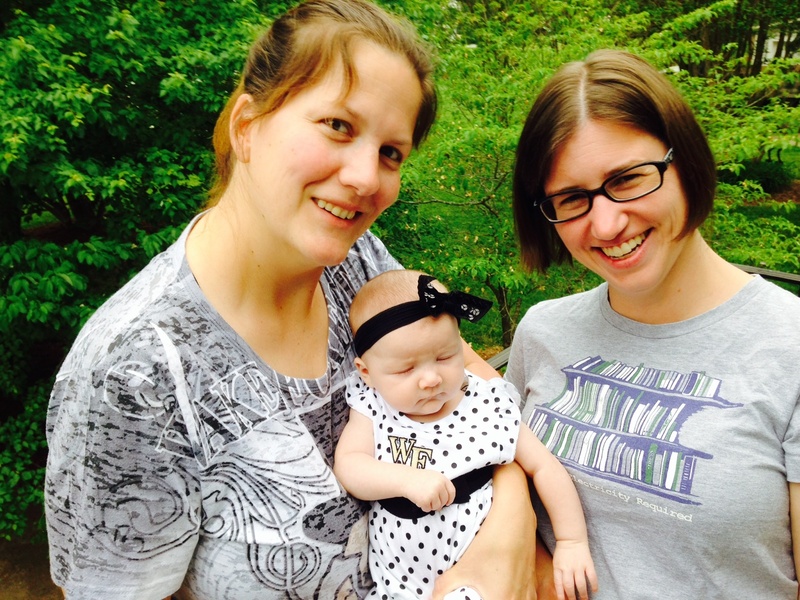 It’s about a 6 and half hour drive from Baltimore to the small town in North Carolina where they live. I enjoy a good road trip, but don’t get the opportunity to take them very often. Adult life means that I usually opt for flying most places because it’s faster, and I guess because a lot of places I go would take a significant amount of time to drive to. Anyway, I enjoyed getting in my car and having some time to myself. I listened to the audio version of the Veronica Mars book, a review of which will eventually go up on my book review blog as soon as review the 24 (eep!) other books I read before it and have yet to review. Road trips generally mean stopping for a fast food meal along the way. 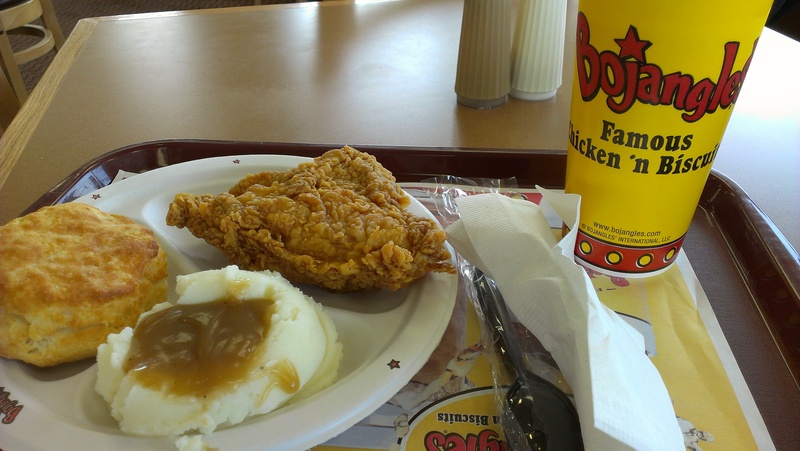 As I was driving into the South I realized that I was entering Bojangles country and would probably be able to find a Bojangles to stop at for lunch. Sure enough I was. And of course I had to get some sweet tea to drink with my meal. I love me some sweet tea. I met Teresa and Brian my Freshman year of college at Wake Forest University. Teresa and I lived down the hall from each in the same dorm. Brian was a senior at Appalachian State then. They got engaged the December of that year, but didn’t actually get married until after Teresa graduated 3 year and half years later. Then it only took them 14 years to have a baby. I figured they would eventually since we used to joke in college that Teresa was our mom. She always knew our schedules and when we had tests, etc and would ask how they went like a mom would. 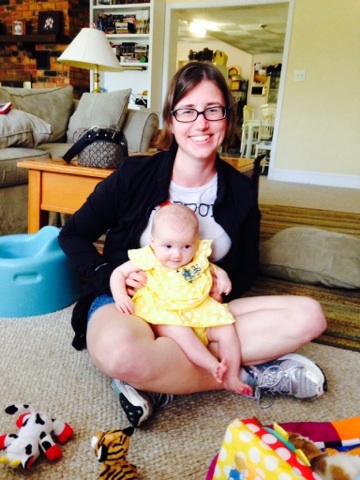 She’s going to be a great mom, and she’s got a pretty great kid. Look how adorable she is. 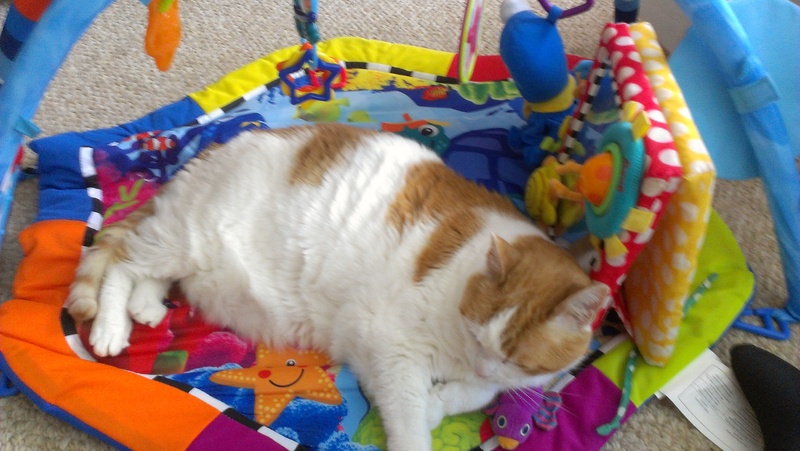 Oh no wait, that’s one of their cats. Let’s try that again. 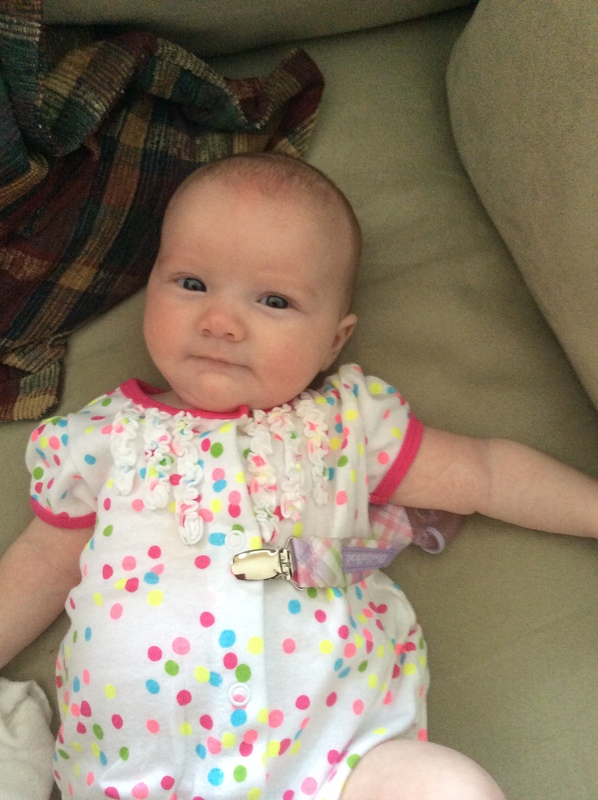 There’s sweet little Olivia. They live outside of Winston-Salem where Wake Forest is, so on Tuesday Teresa and I took a trip to campus to check things out. It had been a little over 3 years since the last time I was there, and I was amazing how much had changed even in those three years. There are 2 more dorms, a new dining hall, and a new building for the business school among other smaller changes. 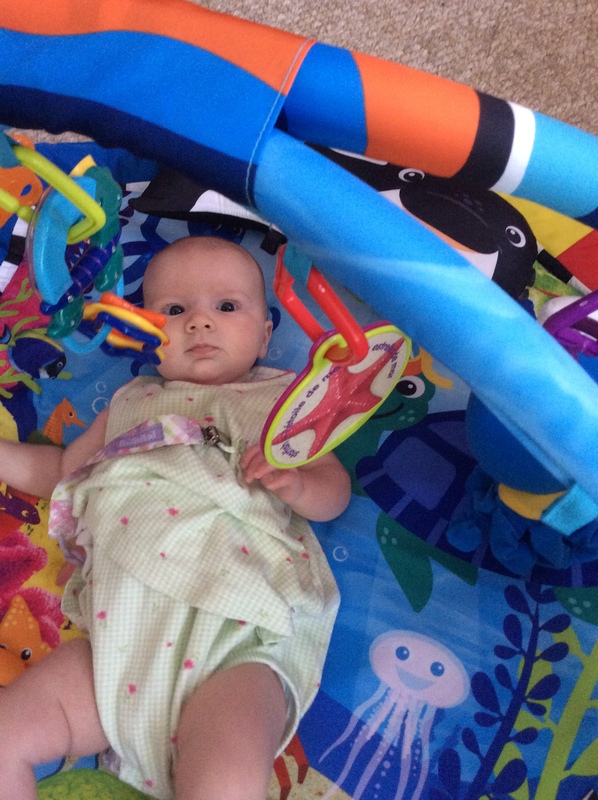 I tried to show Olivia where she was going to go to college, but she was not impressed. She better not be thinking about going to Duke or Carolina. 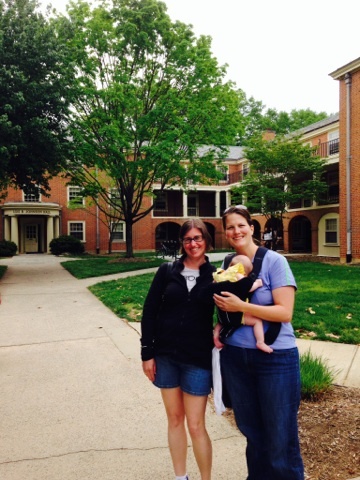 We got someone to take a picture of us in front of Johnson Hall where we first met. 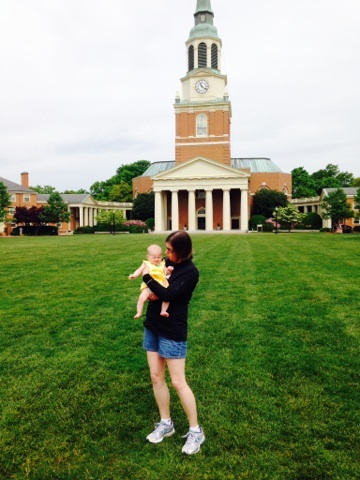 I don’t really like to think about how long ago that was, but let’s just say that most Freshmen entering Wake Forest this year will have been born the year we met. 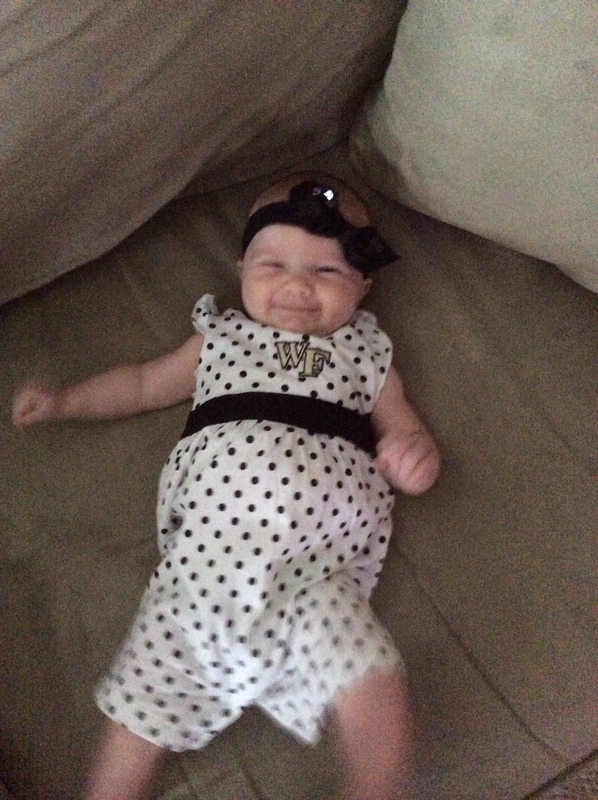 While we were on campus we picked up an adorable little Wake Forest outfit for Olivia, which she wore the next day. All that kicking is exhausting. Before I left on Wednesday we had lunch at a little cafe near their house. They were promoting something called Wafflepalooza, so of course we had to share the turtle waffle special for our dessert. 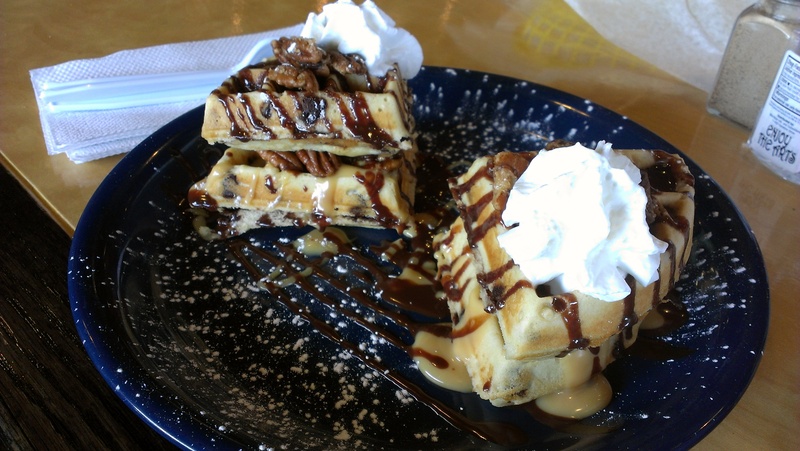 I mean you can’t eat somewhere celebrating Wafflepalooza and not eat a waffle. That would just be wrong. 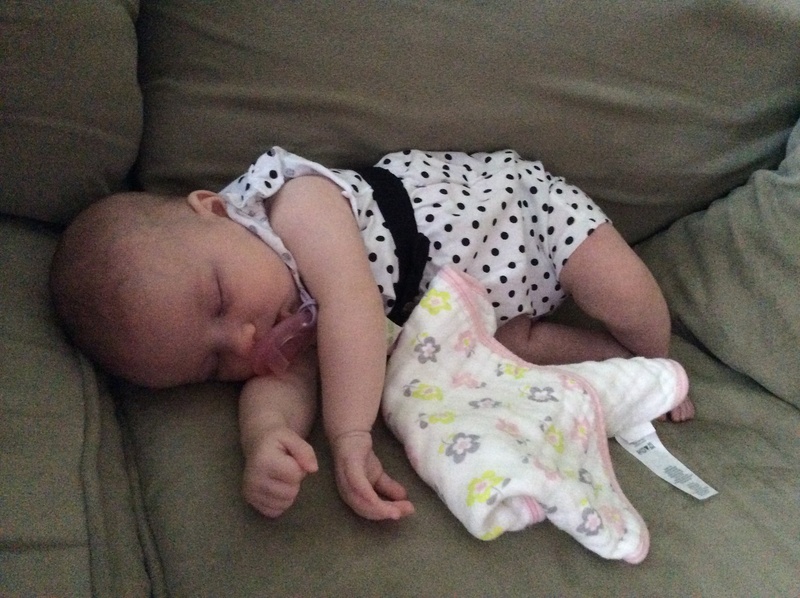 And a few more pictures of an adorable baby before we go. It was a great trip, and as always when I visit friends and family who live far away I wish they all lived closer and I got to see them more often. Yesterday I had to work for 12 hours, and I admit I was very whiny about it going in. I know some of you have jobs where working that many hours is par for the course. I am happy I don’t have your jobs. I usually put in my 8 hours and am out. I like it that way. Anyway as per my normal Thursday night schedule on the reference desk I had to work until 9:30 last night, but that usually means that I don’t come in to work until 1:30. However, a committee I’m on scheduled a meeting from 10-1 yesterday morning pretty last minute so there was no way for me to get out of my Thursday night shift. I was really not looking forward to the day and was annoyed by the whole thing. However, the day turned out better than I ever could have expected and didn’t feel that long at all. I’ve certainly had much shorter work days that felt like they dragged on way longer than this one. My morning meeting went very well. I think we got a lot of accomplished and I’m happy with what we came up with. I also got a nice surprise at that meeting when they provided us lunch. No one said anything about us having lunch, so that was a very pleasant surprise that meant I didn’t have to scrounge for lunch somewhere on my drive between the meeting and my library. When I got to the library I was also really happy that there was an actual parking spot for me to park in. I was worried because we suspend our pay parking during finals, which means students immediately start parking in every legal and semi-legal spot. Thus when I don’t come in to work until the afternoon on the day I work the evening shift during finals week it is often extremely difficult to find a space to park. It sort of stresses me out every semester, but yesterday was no problem shockingly. I also got to turn in a big report that I’ve been working on with an internal library committee, so it was nice to get that off my plate at least for the time being. And I got asked if I would accept a 3 year appointment to a committee for the Association of College and Research Libraries, so that was nice little ego boost as well and something I’m happy to do. During finals it’s usually not that busy on the reference desk. There may be lots of students in the library, but generally they are studying or working on papers they’ve already done the research for. People must be slacking this semester because last night was by far the busiest night I’ve ever had on the reference desk during finals. I had lots of research questions, so it helped the time pass quickly at the end of the day and made me feel like there was a point to being there. And really given my previous comments this is going to make it sound like I obsess over parking a lot, which I really don’t but I was happy to get home last night and get a spot on the street right in front of my house. Usually when I come home at 9:45 on Thursday nights I have to park a couple blocks away from my house. It’s not a big deal, but I won’t lie that I always love the rare occasions when I can snag a spot right by my house. And now today I got to leave work at noon since I worked long yesterday. It’s a gorgeous day out and it’s Friday, so all in all yesterday was a great day that lead to a happy day today.